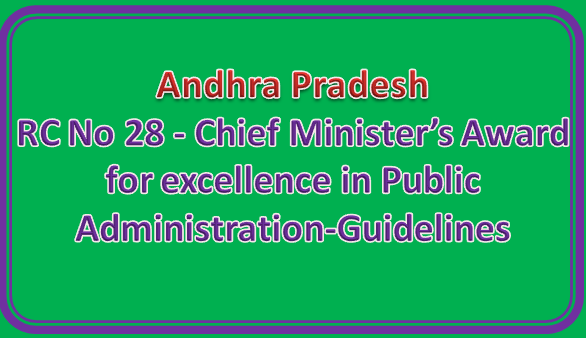 Sub: School Education-O/o Commissioner of School Education, AP, Amaravati -Chief Minister’s Award for excellence in Public Administration-Guidelines - Issued. Read: Govt Memo.No. 18026/19/20 18-General S.E(GENERAL) Dept, dt: 17-01-2018. While enclosing herewith a copy of the reference read above along with its enclosures, all the District Educational Officers in the state are requested to furnish the details in the prescribed Annexure - I & II (Enclosed) on or before 19.01.2018 to the mail Id estt5.cseap@gmail.com without fail so as to furnish the same to the Government.